Texol supplied an Ethyl Acetate and Hydrogen Production Pilot Plant to the Godavari Sugar Mills Ltd., Mumbai in March 2009. The unit is used for studying the production of Ethyl Acetate and Hydrogen by using ethanol as a feed. 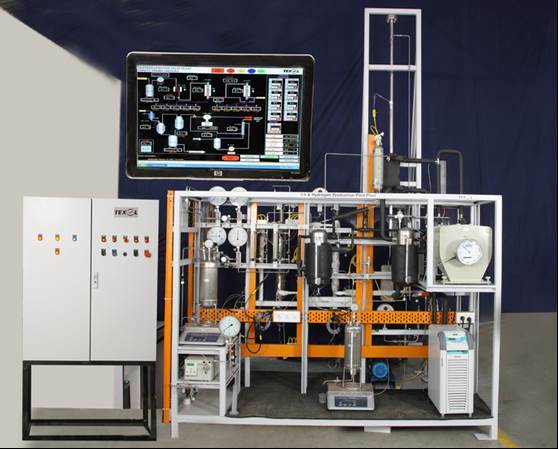 The system is designed for temperature up to 500 Deg C and pressures up to 4 bar g.
PC-PLC based control system is used to control process parameters like gas flow; liquid flow & reactor temperature.